In our past article, we talked about how to find best selling products to Drop-Ship and the whole process to launch the ad campaign for e-commerce products. Once you start driving traffic to your online store, you must take advantage of the valuable information the Facebook pixel will collect to optimize your ads but also there are marketing strategies that help to increase your conversions of new visitors and old customers. We have talked about How to Setup Facebook Remarketing before but I find crucial to highlight the benefits e-commerce advertisers get with the Facebook Pixel in the whole process to encourage our readers that are willing to spend on Facebook Ads to do it right away. For this reason, the Facebook Pixel must be installed as soon as possible on your website to start getting your visitor’s information. Make an audience of anyone who visits your website in the last 30-180 days. (In only includes people that visited your website after the pixel was installed on your website). e.g. Make an audience of your incoming visitors who include all people that already showed interest in your business and products. Make an audience of anyone who visits specific web pages in the last 30-180 days. e.g. Make an audience of any customer or even a customer of a specific product. As you can specify the URL of the page you can also exclude other pages and make conditions. Make an audience of people who haven’t visited in a certain amount of time from 30 t0 180 days. e.g. Make an audience of old visitors that could be interested in a special offer/deal. When someone lands in your online store, the Facebook Pixel starts collecting information about relevant behavior that takes place in different pages. Standard events can be identified overall if we created a custom audience of each standard event we want to measure. In our recent article about How to Setup Facebook Remarketing we cover how to create custom audiences from your facebook pixel and how to get it and install it on your website. Also, we mention in our guide about How to create your Shopify Store the easiest way to install your facebook Pixel in your Shopify store. 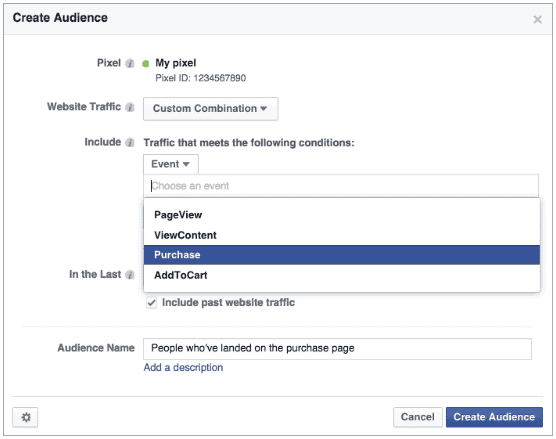 To create a LookAlike Audience, find the “Audiences” menu in the Facebook Ads Manager or Power Editor. You’ll be shown all the types of Facebook Audiences. If you are inside a Business Manager Account, you’ll find the “Create Audience” button with the same options. Click on “Create a Custom Audience” or “Custom Audience”. 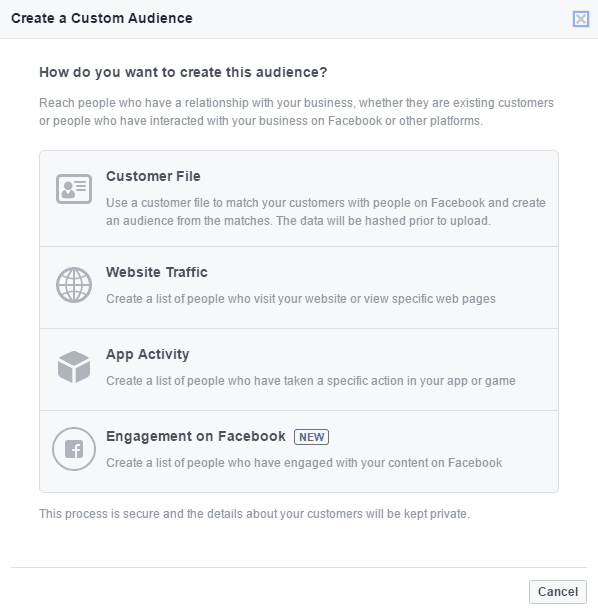 You’ll be shown different types of Facebook custom audiences. You’ll be shown each type of Facebook Custom Audience. The Audience you are looking for Retargeting on Facebook is “Website Traffic”. By clicking on it, you’ll be asked first to create a Facebook Retargeting Pixel if you haven’t yet. Under the “Website Traffic” drop-down menu, click on “Custom Combination“. Under the URL dropdown, click “Event“. Choose one of the standard events you’ve added on your website. Set the number of days you want people to remain in your audience after they visit your website. Give your audience a name to identify it. A Lookalike audience is an audience that you can create based on a custom audience. Facebook allows you to make an independent audience of people that is similar to those who are inside a custom audience in particular e.g. You can make a similar audience from your current custom audience of people that made a purchase on your website. Facebook identifies the common qualities of the people in a custom audience like demographics, interests and behaviors and then it manages to find people who are similar to them in the country you choose. 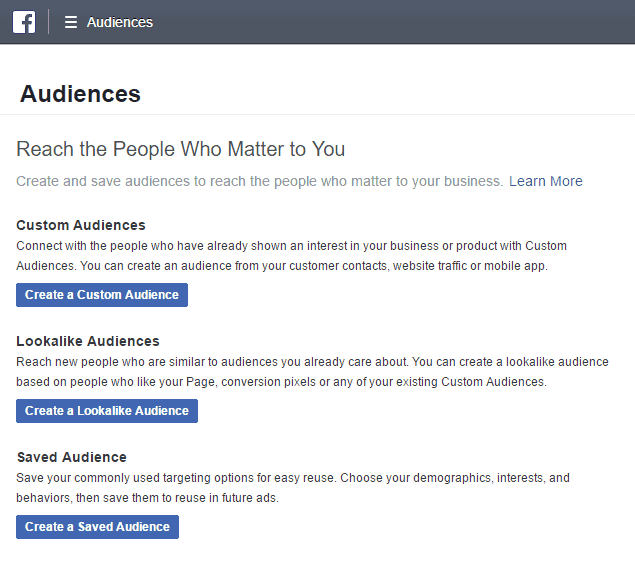 To create a Lookalike audience, again find the “Audiences” menu in the Facebook Ads Manager or Power Editor. You have to select a Country from where your audience will be created. It is common to select the same country for both audiences. Finally, choose your audience size. You can select from 1 to 10. The smaller the better because it will be more close to your custom audience. Once you created you lookalike audience, it’s time to run ads to keep reaching new customers! Once you drive traffic to your online store with your Facebook pixel installed, your custom audiences will start growing and the more visitors you have, the easiest for Facebook to optimize your ads and get the most of your budget. 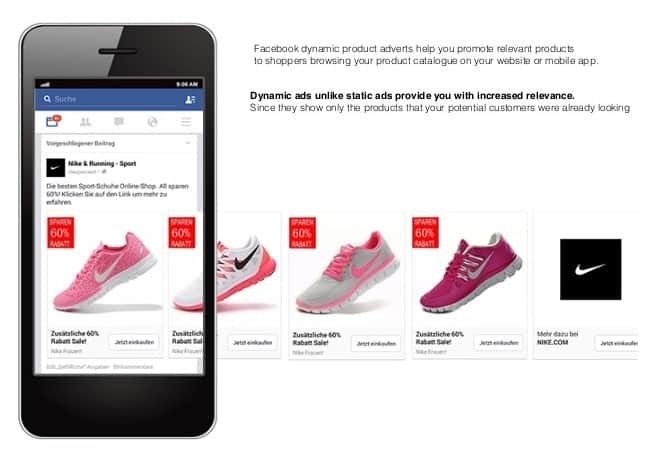 Dynamic ads are one of the Facebook ad types called “Product Catalog Sales” in Facebook Ads Manager. This means that you can advertise your products available on your online store to people that already visited those particular product pages. While dynamic ads were recently used only for remarketing, that means only your past visitors, now you can target broader independent audiences. You can target people who engaged with others websites, facebook pages and posts with related or similar products as yours. If someone browses similar products as yours across multiple websites, Facebook will identify this user behavior and will include it in this audience. Once you select this type of ad in your Ads Manager, your pixel identifies your online store and allows you to select it. You can even set targeting combinations and exclusions of these. Set placements, budget and optimization for events. Edit your ads format and run your ads to get new conversions! Something you definitely need while running ads for e-commerce is to allow Facebook to optimize your conversions. But first, you need to create your Custom Conversions in order to track it. Once you created your custom conversions, Facebook will be able to optimize your future ads for conversions. Remember that we mentioned in our last guide that one of the most effective Types of Facebook Ads is “Website Conversions” which is the best choice for tracking and optimizing for conversions. When you create a new “Website Conversions” ad, you’ll be asked to choose a custom conversion for Facebook to optimize for. If you haven’t added custom conversions yet, you’ll only be able to optimize for website traffic, page post engagement and video views. Facebook manages to analyze and understand the type of users that actually convert in order to make a better selection to reach similar people, in other words, Facebook shows your ads to people within your audience that is more likely to perform that particular conversion. e.g. purchase. As mentioned in our last guide about launching your first ad campaign for e-commerce, Facebook needs time to collect information of users to make an accurate selection days after launching the campaign, that`s why is important to let your ads run for some days for you and facebook to get information in order to make smarter desitions. We keep talking about the best practices to take advantage of your visitor’s actions on your website to get the most out of it. 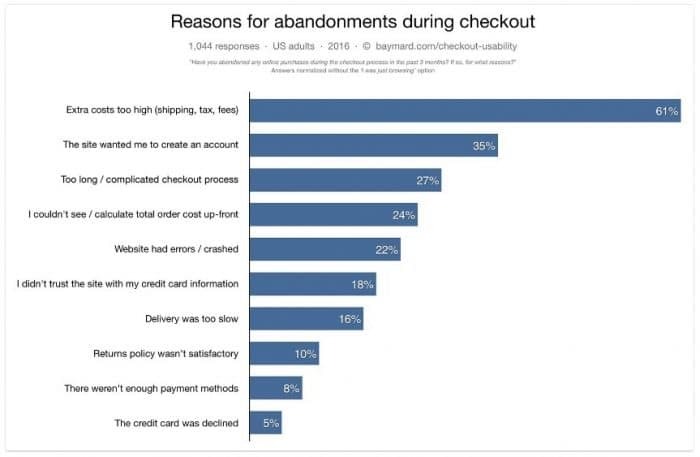 Around 69% of potential customers abandon their shopping carts for different reasons, mainly because they find extra costs perceived too high like shipping cost while some others do it because they are asked to create an account and others because they find the checkout process too long and complicated. Also, people tend to dig into online stores to check prices and compare between other websites, that’s why other strong reasons for shopping cart abandonment are that people were just browsing your online store to see if they can find a better price on your website or in another. That said, about 69% of your potential customers will abandon their shopping carts and it’s up to you to get them back to check out. Doing this, you can get an average of 33% completing the purchase process. 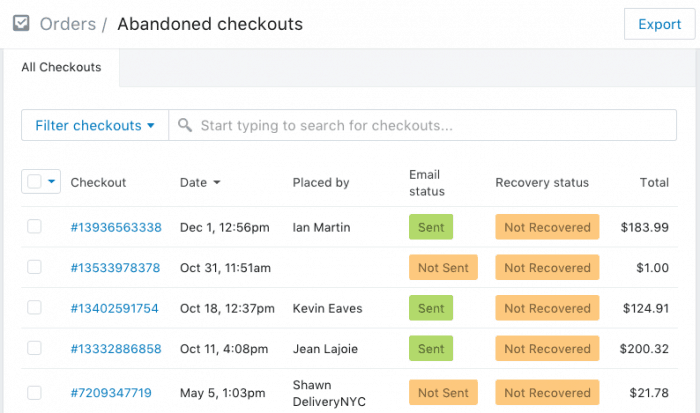 The Abandoned Cart Recovery is a great practice to push your potential customers to complete their recent attempt to purchase on your online store. It can be implemented mainly by sending directly an email to the potential customer to encourage him/her to check out. Shopify includes this particular marketing strategy for you to send emails to your potential customers, those who are likely to buy right away since they already began the buying process. While there are other Shopify Apps or strategies to reach your potential customers with an abandoned cart, you can do it using “Shopify” and “Advanced Shopify” plans. 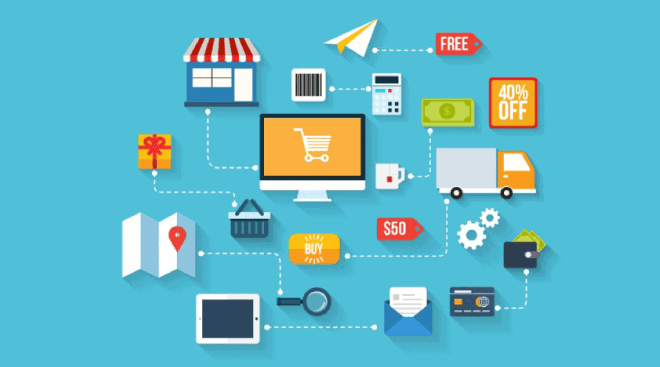 If the main reason why potential customers abandon the shopping cart is because they find that they’ll be charged extra for shipping, you can implement a marketing strategy that most will find appealing. Adding pictures of the product they are interested in make it more appeling to them. Adding sense of urgency is always an excellent way to boost sales faster. You can also send the abandoned cart emails manually. 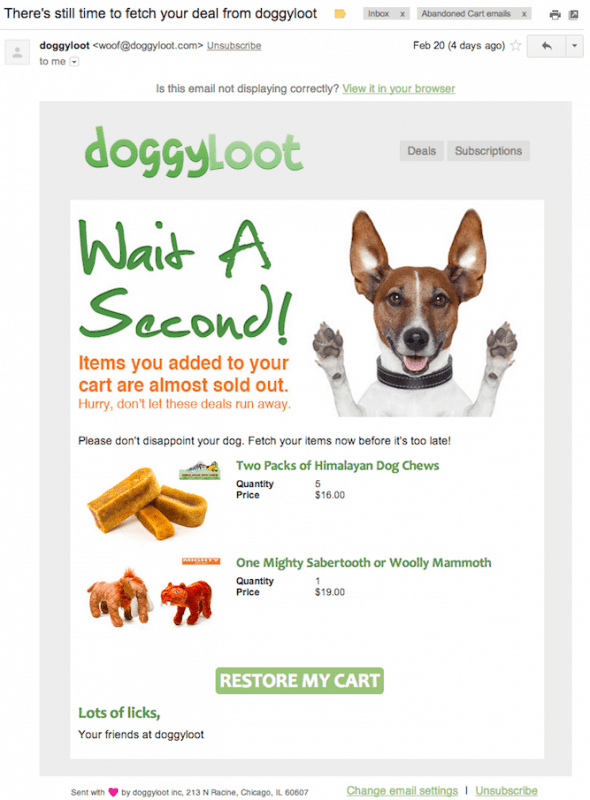 While Shopify by default sends an abandoned cart recovery email with basic design that contains “a permalink, also referred to as a permanent link, to a customer’s abandoned checkout – the cart page with their products already added – so that they can quickly and easily complete their checkout if they so choose“, you can actually customize the email design. In our recent guide Shopify – Create your online store (Part 2) we talked about why is so important to build an email list, the benefits you get with it and we featured proven current strategies to get email subscribers using creative lead magnets. We also talked how you can easily get your Shopify customers email if they allow you to promote your products. Building your email list from the beginning will allow you to take advantage of your spent budget to advertise to your potential customers. Remember that we talked about the effectiveness of email marketing to get conversions. Since you are making direct contact with a person, the conversion rate is higher. It’s time to design an email funnel, which is a chain of emails that are automatically sent to your subscribers depending on actions they make. Once you get a new subscriber you are able to automatically send an email after a specific period of time from the subscription date. If someone subscribed to your list because your lead magnet was about getting free shipping for the next purchase, you may remember this particular subscriber to enjoy this benefit. If someone subscribed to your list directly from the checkout of a particular product, you may want to send an email offering complements or accessories related to the recent purchase. If someone subscribed to your list because you ran a sweepstake of a particular product, you may want to send an email offering the same product with a discount added. When you get a new subscriber, the autoresponder starts sending the first email with valuable content to start a conversation and establish trust. 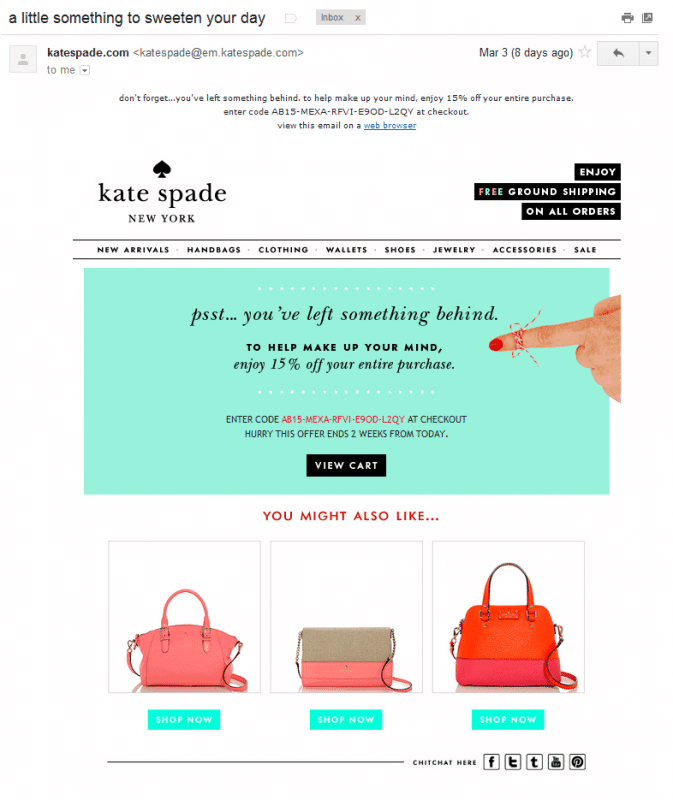 After three emails a promotion of a product or service is sent with a compelling offer. Then, great content is sent again to keep offering value. This works because your subscribers are more likely to trust you and to make a purchase if they perceive value on your offering. A Sales-Oriented email sequence is different and if you get your subscribers from your online store, it means your audience is more likely to buy right away because they already showed interest in a particular product, overall if you offer a discount. 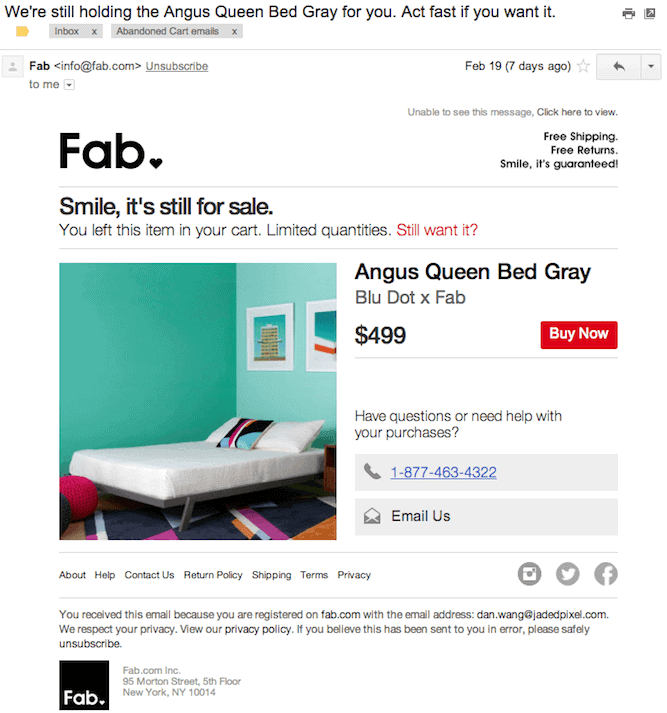 That´s why the following email sequence is focused on product promotion. There is no right way to structure an autoresponder since every business has different audiences that behave in a very different way. Start structuring your email sequence with a base like the one mentioned before, and after some time test different sequences in order to have different results and get the most efficient for your business. The key is to manage to take advantage to specific actions that trigger different marketing strategies via email. For instance using ConvertKit, one of the best email list builders nowadays, you can apply tags to your subscribers in order to trigger different email sequences. Facebook is constantly changing and updating to improve the way to advertise. As an advertiser of your own products, you have to keep updated with the best practices to take the most of your visitors, subscribers and customers to increase your conversions. Remember that measuring your results is key to implement better strategies to grow your business. Take always in count that there will always be several marketing strategies and you must test it to get information and to find new ways to boost your sales. This concludes our Shopify series for now. Hope you liked them and talk to you next week with a new topic to explore! Nice picture explanation. It helps a lot. Thanks. Thanks for sharing this detailed information on all types of facebook ads. I will surely try it for my ads. Thanks.